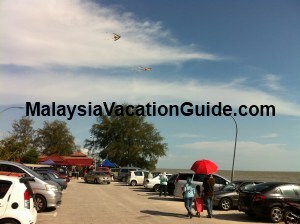 Pantai Remis beach at Jeram in Selangor is a waterfront beach that is popular with the villagers that come here in huge numbers during the weekends and public holidays. 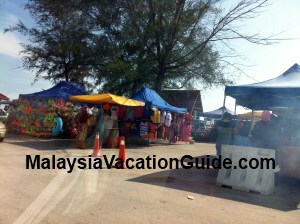 If you are travelling from Kuala Selangor towards Klang, you will pass by Sungai Buluh town before reaching this beach. 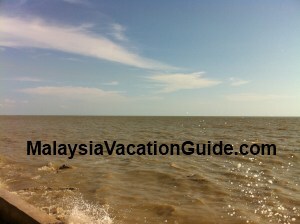 There isn't much sea sports activities here as the water is muddy and murky. The signage indicating the distance to the beach. Flying kites near the beach. The peoples come here for a time of recreation and food with family members and friends. You will see children and their fathers flying kites as this beach is quite windy. Traders take this opportunity to sell kites to those who did not bring their own kites. Many fishing enthusiasts will try their fortune by casting their baits toward the sea hoping to get some fish. These are some of the ways you can spend some quality time with your children without having to spend too much money. There are also plenty of food here for you to buy. 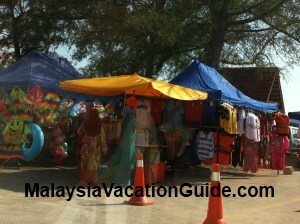 Burgers, satay, corns and ice cream can be purchased from many of the mobile food stalls here. 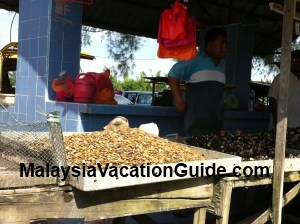 Some traders also sell clams, fishes, vegetables and other daily needs near the parking lots. This is the place where you can get plenty of Malay food. Most of the traders are the residents from nearby villages. There are many parking bays available but most can be taken up during the peak hours in the evening. Stalls selling clams and other seafood. If you haven't been to this part of the world, you may want to consider coming here. Having your own transport is a must. 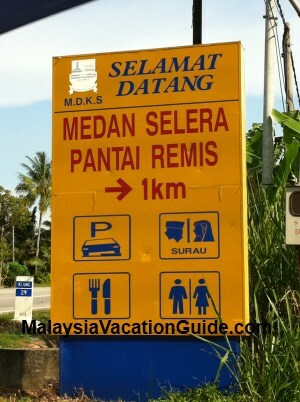 The GPS coordinates of Pantai Remis beach at Jeram are N03° 12.145' E101° 18.329'. Mobile stalls selling kites and snacks. Clothes are also being sold here. 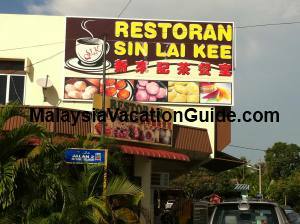 If you are still hungry after your outing or you would like to pack some buns back home, head for Restoran Sin Lai Kee which is located 5-10 minutes away from Pantai Remis beach. You can have your coffee or tea with various kinds of buns. This restaurant sells pork free buns with fillings such as kaya, peanut, red bean, chicken meat and vegetable. There is also glutinous rice with chicken meat. 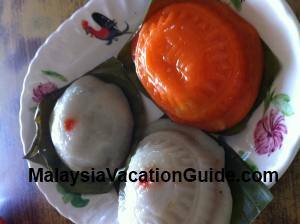 "Nyonya kuih" are also being sold here. The GPS coordinates of this restaurant are N03° 11.539' E101° 18.907'. You will need to come early as the buns may be sold out in the late evening. 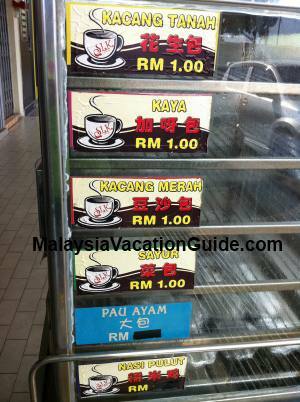 The other restaurant which is more famous is called Kedai Kopi Shin Lok. 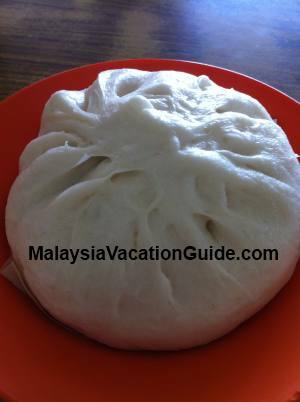 It also serves a variety of buns with different fillings , yam puff and coffee. The signature dish here is the fried mee hoon. 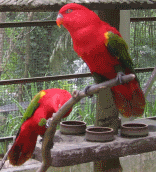 It is located further up the road towards your right as you head to the direction of Klang.